Nvidia at the Game Developers Conference this week announced a new frame capture analysis tool for virtual reality. Dubbed FCAT VR, the utility is designed to help VR developers, reviewers and enthusiasts analyze the quality and performance of a virtual reality experience. 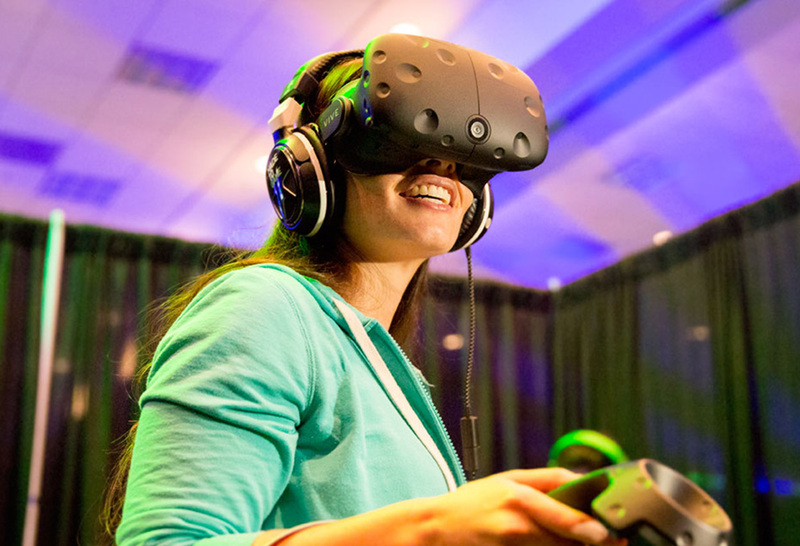 Traditional benchmark utilities aren’t all that practical when it comes to virtual reality. Zvi Greenstein, general manager of Nvidia’s GeForce team who also leads business development for VR at the company, notes in a recent blog post that traditional measurement tools like FRAPS only measure what’s happening on the desktop monitor instead of what’s happening on the VR headset. In other words, they focus squarely on frame rate and don’t take other important metrics into account like latency, stutter and hitching – all of which can have a big impact on the virtual reality experience. If stutter and latency fall below a certain threshold, for example, they can cause motion sickness – not fun. FCAT VR, which supports the Oculus Rift and HTC Vive, is said to provide a comprehensive performance measurement for frame time and stutter on the headset without requiring special external capture equipment. Frame Time — Since FCAT VR provides detailed timing, it’s possible to measure the time it takes to render each frame. The lower the frame time, the more likely it is that the app will maintain a frame rate of 90 frames per second needed for a quality VR experience. Measurement of frame time also allows an understanding of the PC’s performance headroom above the 90 fps VSync cap employed by VR headsets. Dropped Frames — Whenever the frame rendered by the VR game arrives too late for the headset to display, a frame drop occurs. It causes the game to stutter and increases the perceived latency which can result in discomfort. Warp Misses — A warp miss occurs whenever the runtime fails to produce a new frame (or a re-projected frame) in the current refresh interval. The user experiences this miss as a significant stutter. Synthesized Frames — Asynchronous Spacewarp (ASW) is a process that applies animation detection from previously rendered frames to synthesize a new, predicted frame. If FCAT VR detects a lot of ASW frames, we know a system is struggling to keep up with the demands of the game. A synthesized frame is better than a dropped frame, but isn’t as good as a rendered frame. Nvidia’s new utility should be available to download by mid-March.